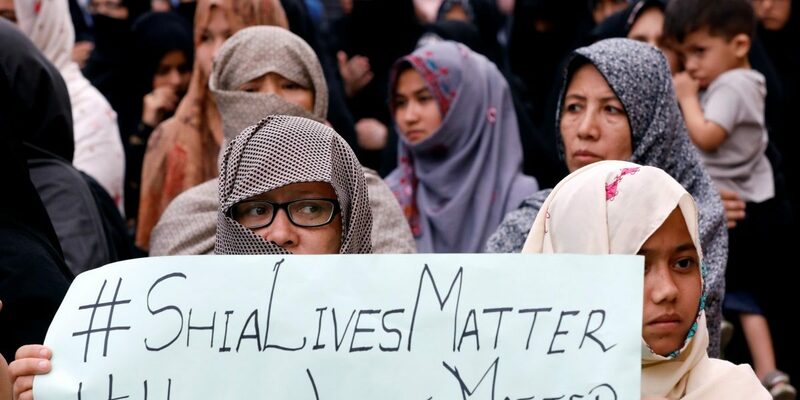 Quetta, Pakistan: Minority Shi’ite Hazaras blocked traffic in a sit-in protest for a third day in the southwestern Pakistani city of Quetta on Sunday after a suicide bomb killed 19 people in an outdoor market, many of them ethnic Hazaras. The protesters, including many women and children, have set up camps and burn wood to keep warm at night. One police official said there were about 200 people taking part on Sunday, blocking the key arterial Western Bypass leading into Quetta. Friday‘s bloodshed came two days after authorities freed Ramzan Mengal, a top leader of a banned sectarian group, Lashkar-e-Jhangvi (LeJ), Quetta police chief Abdul Razzaq Cheema said.